"It is said that the execution of devotional service is so perfect that one can perceive the results directly. 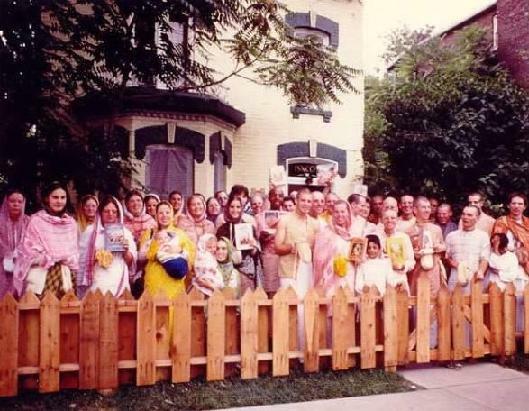 This direct result is actually perceived, and we have practical experience that any person who is chanting the holy names of Krsna (Hare Krsna, Hare Krsna, Krsna Krsna, Hare Hare/ Hare Rama, Hare Rama, Rama Rama, Hare Hare) in course of time feels some transcendental pleasure and very quickly becomes purified of all material contamination. This is actually seen. Furthermore, if one engages not only in hearing but in trying to broadcast the message of devotional activities as well, or if he engages himself in helping the missionary activities of Krsna consciousness, he gradually feels spiritual progress. This advancement in spiritual life does not depend on any kind of previous education or qualification. The method itself is so pure that by simply engaging in it one becomes pure."